In an earlier post, I recommended shooting in early morning or late evening light. Here’s a great reason to shoot at these times: long shadows. When the sun is low in the sky, the light comes in at a sharper angle than during the middle of the day when the sun is overhead. Shadow selfies are a lot of fun. 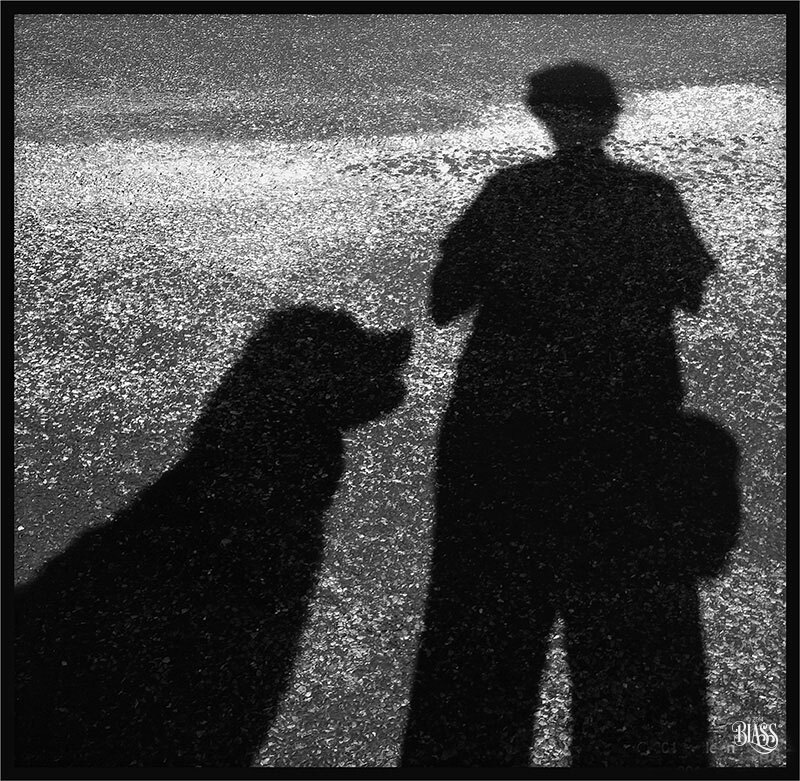 Go for a morning walk with your Bernese Mountain dog and see what kind of pictures you can make of your shadows. You might shoot several dozen of them before you get one you even like. The point here is to notice the light that’s around you. Notice the texture of it. Notice the direction of it. Is the shadow in front of you, to your side, or behind you? 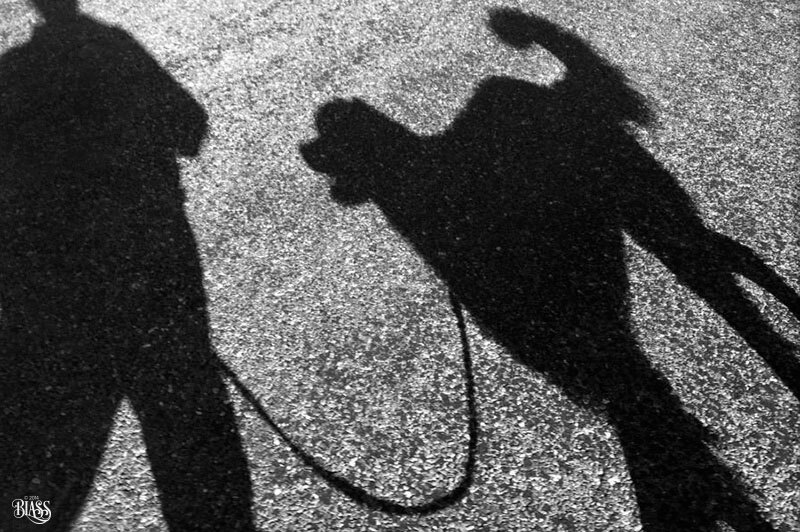 For more contrast/impact , I converted my shadow selfies to black and white in Photoshop. You can do this with your own photo editing software or with an app on your smartphone. 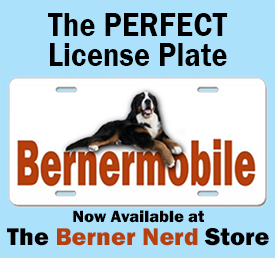 Here’s another example of how to use shadows in your pictures when shooting your Berner. 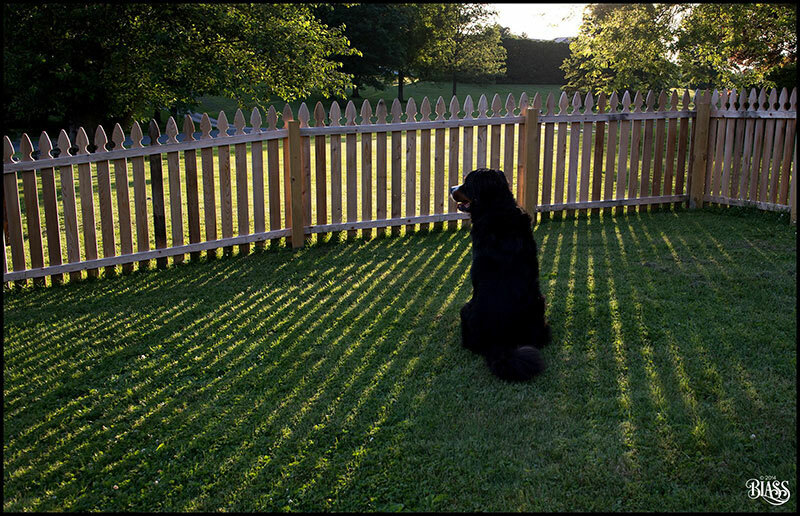 This is Teddy in evening light at our fence. I’m shooting into the sunlight here and lens flare can be a problem when you point your camera into the sun. A lens shade helps and you can also place your hand over the top of the lens to block rays coming into the camera. I also angled my camera down in this case to avoid the sun shining directly into my camera. 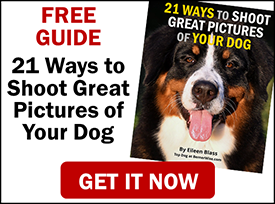 Start noticing the light and have fun with your dog. Thanks for sharing. Never thought of taking shado pictures but they are great. Now if only we would get some sun! Cool idea and yet another reason to renew my Commit to be Fit at the gym (starts next week, earn points =$$) because shadows don’t lie!! Your shadow shots are great. I’ll work on mine as the year goes on! Hahaha, Nancy. Great comment. As a matter of fact, the gym is on my list of things to do this morning. Decent shadows are important, right? Have a happy New Year!